‘Jinrikisha’ is a word many people will be able to guess the meaning of without knowing any Japanese at all, because the English word we know today actually comes from the original Japanese. 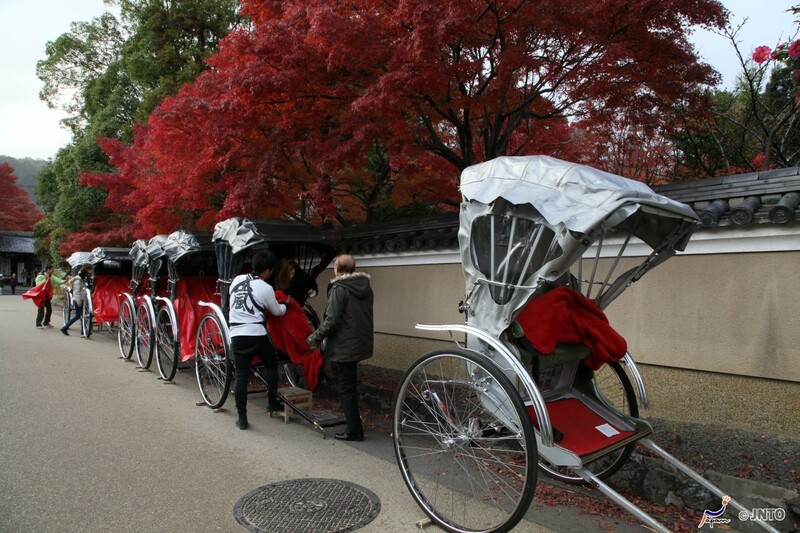 A ‘jinrikisha’ is, of course, a ‘rickshaw‘. As most of you will know, a pulled rickshaw is a human-powered cart which seats one or two people. 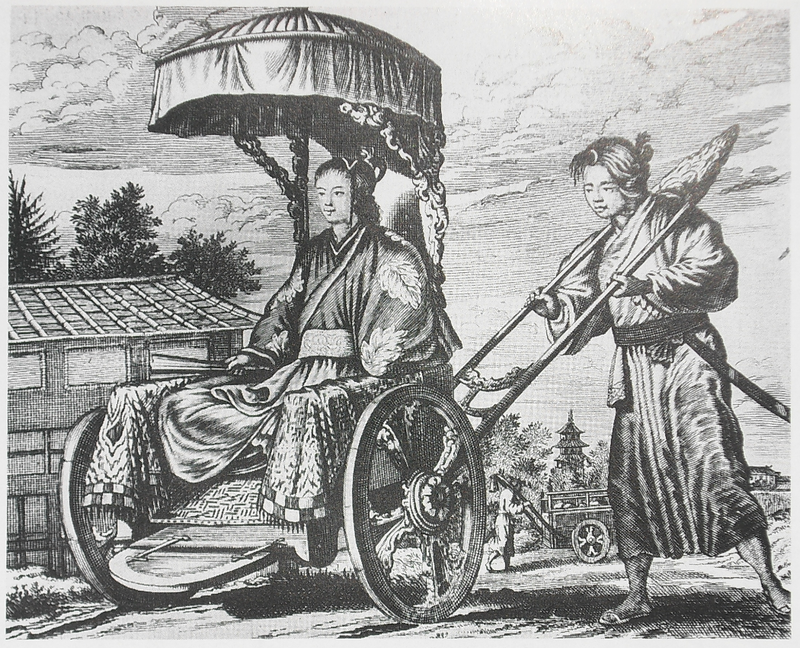 They are popular in many countries now (although human-powered rickshaws are less common in Western countries), but the original jinrikisha were first seen in Japan, probably around 1868. Although the exact origin is unknown, it is believed that jinrikisha may have either been an American invention or invented by three Japanese men called Yosuke Izumi, Tokujiro Suzuki, and Kosuke Takayama. Jinrikisha were once the most popular form of transport in Japan. 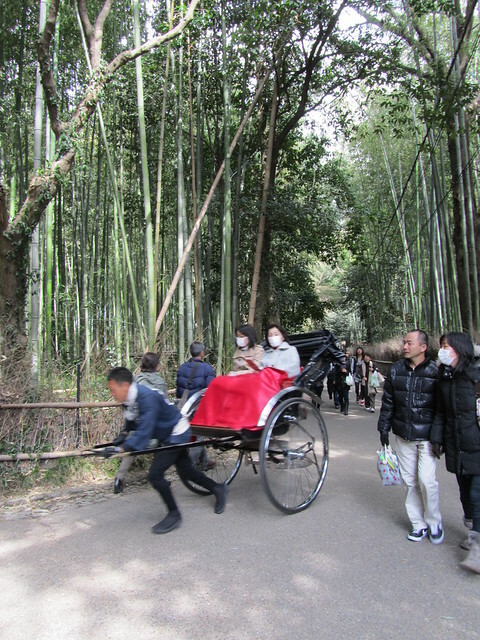 These days, jinrikisha are not much more than a tourist attraction, and they’re very popular in places such as Arashiyama in Kyoto and Asakusa in Tokyo, which maintain a traditional atmosphere. It is possible to take rickshaw tours around local attractions such as shines and temples, and the rickshaw ‘runners’ will even stop and take your photograph for you. If you’re in one of these areas and are not planning on riding in a rickshaw, watch out for the runners who try to persuade you to give it a go. They’re usually very charming young men – and very persuasive! Some even speak English and try to lure the foreign tourists with offers of guided tours in English (and possibly other languages – I’m not sure!). However, if you’re a tourist in Japan and have the money, this is an experience not to be missed. I’ve always thought it looks like fun, although I think I’d feel a little bad for the guy running along and having to carry me! A 30 minute tour for two people should cost around ￥8,000 (about £63/$100 USD). If you’re interested in Japanese language, you might find the kanji for the word ‘jinrikisha’ interesting, and it’s also quite an easy word to learn. 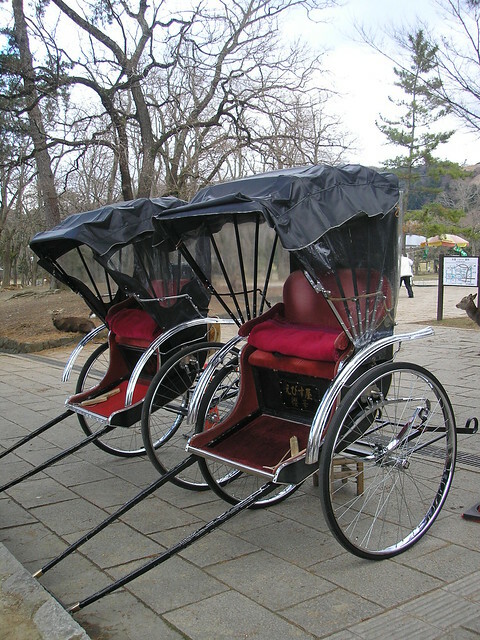 ‘Jinrikisha’ is written: 人力車. 人 (jin) = human, 力 (riki) = power or force and 車 (sha) = vehicle. So, ‘jinrikisha’ is literally a ‘human powered vehicle’. The word ‘rickshaw’ (also spelt ‘riksha’), coming from ‘jinrikisha’, first appeared in the Oxford English Dictionary in 1887. 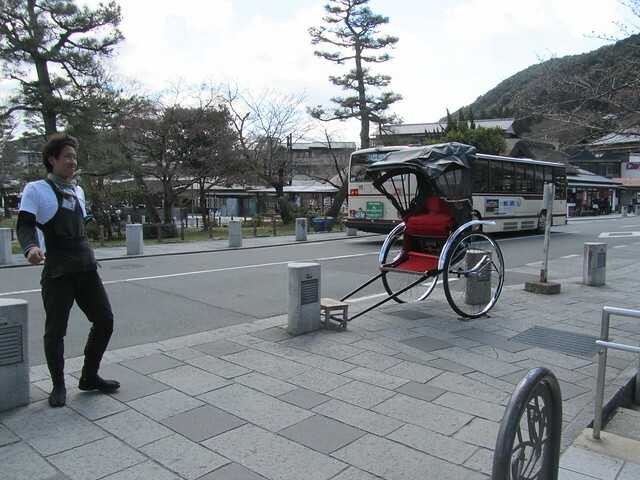 The rickshaw is something you still see around a lot of the tourist places like Kyoto, and it is a fun experience. A few suggestions for next week include Shabu-Shabu, Yakitori, Yamadera (Tohoku’s most sacred temple complex), and Yakushima (beautiful subtropical island in Kyushu). They’re usually too expensive for my taste. Haha its funny, because as you say, if you’re interested in kanji you’ll find the word interesting. As soon as I saw 人力車 l thought “ahh that makes sense!” I really am a bit of a geek for kanji lol. « Kumo Lumo – a kawaii new iOS game!